I loved this, uncomplicated, I mean this in a very complimentary way, contemporary women's literature at its best. This was such a fun read that transported me to an idyllic, well almost, life style abroad, in this case the Cevennes mountains at the southern end of the Massif Central in France. The kind of life style abroad that I know many of us dream of and some of us are even lucky enough to be given the opportunity to experience. While where I live in Italy is not the harsh lonely place that the protagonist Catherine chooses to call home, there are many similarities that made me smile. 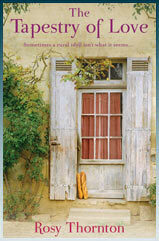 Catherine Parkstone, divorced for a number of years with adult children decides to seek a rural lifestyle in an old stone farmhouse on the outskirts of La Grelaudiere a tiny hamlet amongst the chestnut woods on the slopes of Mont Lozere. The book tells the story of Catherine’s gradually emerging love affair with the place, the nature around her and of becoming friends with reserved neighbours. The title comes from the fact that she sets herself up as a seamstress, not without some opposition from local bureaucracy. Beautifully written I found I very quickly became attuned to Catherine as she coped with not just the emotions of moving abroad but personal highs and lows concerning family, community, love and loss. Besides Catherine there is an interesting array of other characters to meet and her descriptive writing to savour. Savour is the right word to use as not only does she describe so well the surroundings but you can almost taste the food she talks about. I do not like to give away too much about the plot or story in my reviews as my intention is to encourage you to read the book for yourself not tell you the story! If this a genre you would normally enjoy, then I recommend it highly. I hope I have tempted some of you to read The Tapestry of Love as it is such a cheering read, that certainly lives up to the many enthusiastic reviews I have seen in the blogsphere. Until a few months ago I had never even heard of Rosy Thornton which is a shame as I feel sure I would enjoy her previous three published novels. I have now added them to my wish list on Goodreads, to read what other readers have to say there about her earlier novels, just click on the titles. More Than Love Letters, Hearts And Minds, and Crossed Wires. 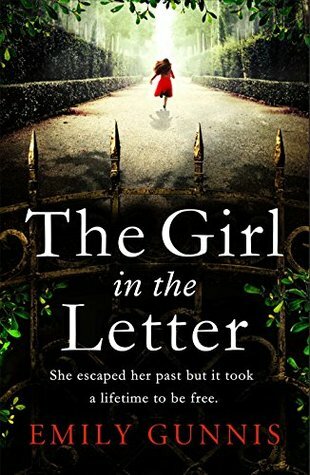 My excuse for not discovering this author before now is probably because her first novel was not published until 2006 after we had left the UK, it is not so easy to keep up to date with new authors when living abroad but I now do so by following Book Blogs. I was introduced to Rosy, by her getting in contact with me, albeit virtually by the fact that we have two author friends in common. I believe she had also seen some of my other reviews. I was very pleased to have the opportunity to get to know her and to read and review The Tapestry of Love as she so kindly sent me a copy. Photos reproduced from Rosy Thornton’s Official Website. ‘My first novel, 'More Than Love Letters' was published in paperback 2007, my second, 'Hearts and Minds', came out in 2008, and my third, 'Crossed Wires', in 2009. My latest novel, entitled 'The Tapestry of Love', was published in paperback in October 2010. I write fiction which might be described as romantic comedy with a hint of satire - or possibly social satire with a hint of romance. I am certainly looking forward to getting hold of the rest of her novels to read. I am tempted...I am tempted!! I love the picture on the cover of this book! It sounds exactly the sort of read that I love, so I will be putting this one on my "to buy" LIST. In fact, I have to order House on the Strand (Daphne du Maurier) and Regatta (Libby Purves) for my next book club reads, so I will order this one at the same time! Thank you. I did already comment some time ago, but I can't see the comment, so I'll type it again!! I love the picture on the cover of this book and it sounds like just the sort of story I like, so I will definitely order it. I am just about to order The House on the Strand (Daphne du Maurier) and Regatta (Libby Purves) for my book club reads, so I will place this order with Amazon at the same time. Thank you. DOH! The original comment has now appeared! LOL! Patricia@ If you are tempted then I think it means you will enjoy this one. Thisisme@ I hope you do get hold of a copy, do take a look at what the author has to say about the cover though! Anne@ I had a feeling this one would appeal to you. Len@ It is worth doing so. Oh, I've heard so any good things about this book! Thanks, LindyLou. Glad you like her writing as well. I read Love letters also and loved it ! she is a wonderful writer ! Talli@ I have yet to find a bad review! Bedazzled@ Absolutely,now I have to get hold of other novels. Jyoti@ That is great, look forward to hearing what you think. Ive not heard of this...but it sound lovely. And, ooooh, look at you, getting contacted by authors!!! I feel very proud by proxy!!! Sarah@ It is good might even be worth suggesting to your book club. I am enjoying the book and I am halfway through.. Hopefully will be able to post a review next week.. abt that pic of WW, its Cliffs of Moher in County Clare, Ireland. We had been there on Easter Holidays 2 years back.. It has breath taking views.. I am tempted to ask, by looking at ur name , I thought u might have an Irish background. Joyti@ So glad you are enjoying this and I will look out for your review. I have sent you a message re the rest of your comment.